The TORNADOR® Air Foam Gun turns your favorite cleaner or car shampoo into super thick, long-lasting foam. This air-driven foam gun works with your air compressor to produce frothy, rich foam that has amazing cling. 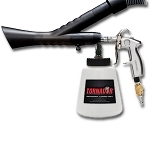 The TORNADOR® Foam Gun can be used for interior or exterior detailing. Use it with a carpet cleaner or with auto shampoo to spray a snow storm of foam! The TORNADOR® Foam Gun will change how you wash your car. 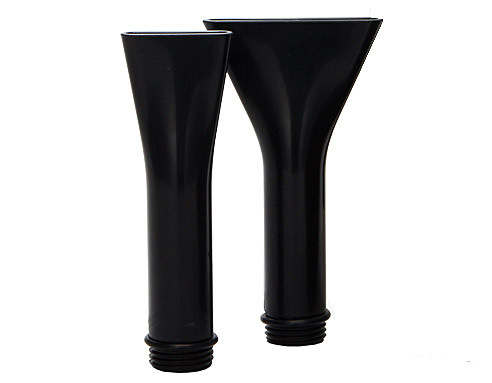 It uses the air pressure from an air compressor to convert shampoo or any foamy product into unbelievable foam. The suds are so light and fluffy, they cling to vertical surfaces without running off. The Foam Gun only works with an air compressor capable of producing 60-90 psi of air pressure. The higher the air pressure, the greater the foam generated by the gun. 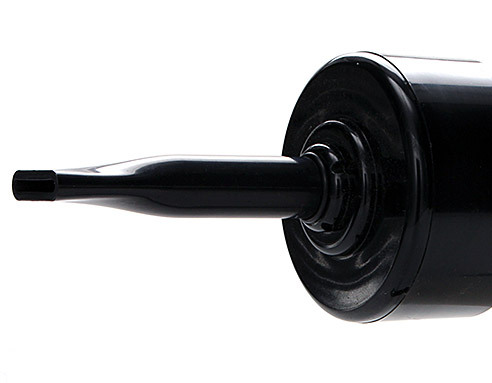 The unique barrel on the gun mixes the shampoo and pressurized air to create a blizzard of foam. You’ll be amazed! The amount of foam is regulated by a pressure valve on the gun. Use as little or as much foam as you need. 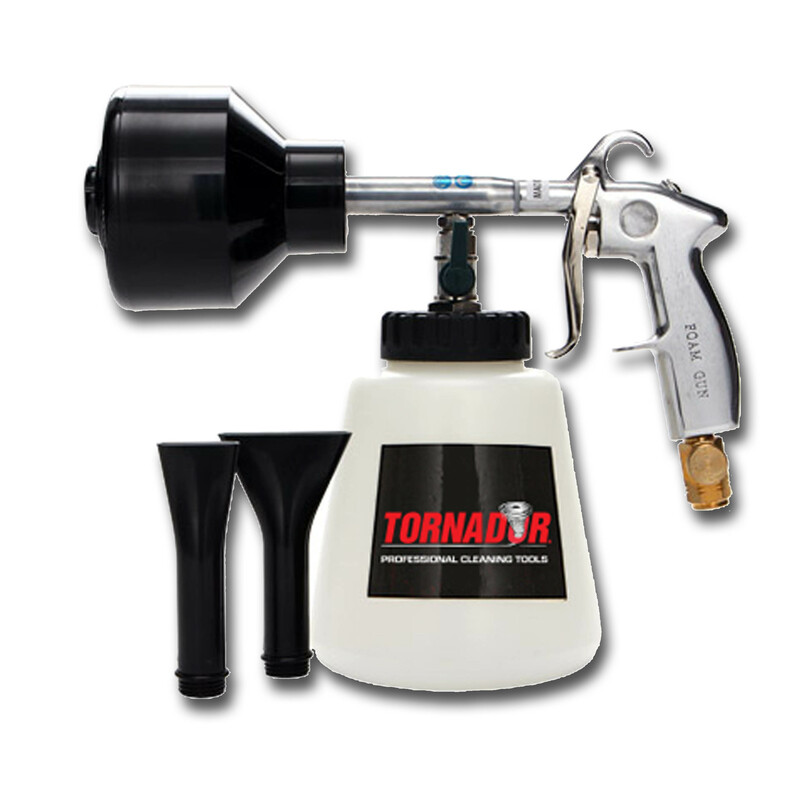 The TORNADOR® Foam Gun can be used with any foaming cleaner, such as car shampoos, carpet and upholstery cleaners, and non-acidic wheel cleaners. Please note: Thoroughly flush all parts of the foam gun with water between uses to prevent cross-contamination of vehicle surfaces. The best rule of thumb is to use different foam guns for different parts of the vehicle. Interior shampoos and car wash soaps can be diluted per the manufacturers’ instructions prior to adding them to the TORNADOR'S® reservoir. You will need an air compressor to use the TORNADOR®. To use the TORNADOR® Foam Gun for car washing, start by rinsing down the vehicle with a water hose. Mix the desired shampoo with water as directed on the product’s label. Attach the nozzle to the jar tightly and attach the gun to the air compressor. Turn the air compressor on and coat the vehicle with foam. Turn off the air compressor and agitate vehicle with a sponge or mitt. Rinse with your water hose! 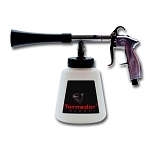 The TORNADOR® Foam Gun includes the gun with a 30 oz. jar, small and large foamer tips and an extra cap for the jar.